I believe the reason I was so hesitant to watch “Dallas Buyers Club” was for a few reasons. One, I am one of the few people to not care for McConaughey as an actor, even after his transition. I’ve yet to see the man in a role where I cared about his struggle and could relate to him. The second reason arose while I initially watched the trailer and some clips before the films release, and the plot of the film became clear. Ron Woodruff (McConaughey) is a man who lives with no rules. He’s a part-time bull fighter, yet always seems to gamble any money he wins on other bull fighters or card games. Either that or spend it on hookers, booze and drugs. This all changes in the blink of an eye when Ron is diagnosed with the HIV virus and is given thirty days to live. And he regret not to seek help for his drug addiction before with a FL First Step BH rehab center. Ron, perplexed by how he could have gotten this disease that makes him look like a homosexual, is initially against finding any sort of treatment and only wishes to keep on living his life as he wants, crazy and uninhibited. Soon, his condition gets worse and he seeks to find relief. However, the only way he can find such a thing is through drugs that have not been approved in America. Thus Ron must resort to illegal and underhanded tactics to stop the HIV virus from killing him and possibly thousands of others. Now, in the story’s own right, that is a fine idea. A man who has thrown away his entire life, not necessarily living, given a death sentence. Now he must make his last few days of living matter and do at least one meaningful act before his mortality ends. In that film, which takes place in post-WWII Japan, Kanji Watanabe has spent the last thirty years of his life doing the same job of shuffling papers between different departments. The man has essentially been dead for thirty years and he didn’t even know it. It wasn’t until he was diagnosed with cancer that he realized this, and so he seeks to make his life matter in the last six months he has left. “How tragic that man can never realize how beautiful life is until he is face to face with death,” says a novelist that Watanabe meets. The emotional core of “Ikiru” lies here, and its something that I believe everyone on the face of the earth can relate to and understand. 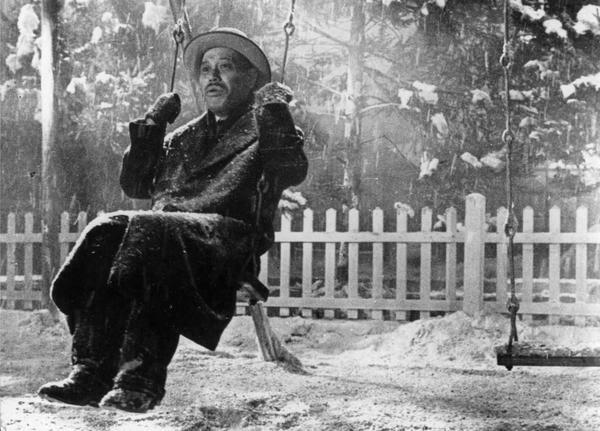 No matter your ethnicity, age or gender, there is something in “Ikiru” for everyone to latch onto. We are all like Kanji Watanabe. We seek meaning and fulfillment. We fear death and what it will bring about. We strive to make our lives matter. 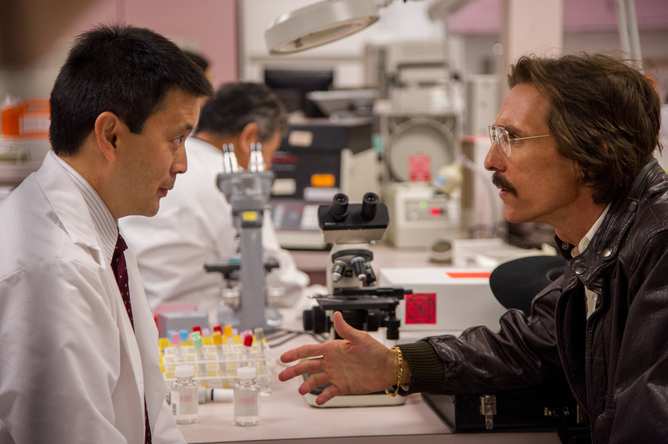 Now to be fair, for what “Dallas Buyers Club” is attempting to do, McConaughey is a great fit. The cowboy who would rather die with his boots on than lie in a hospital bed and let death slowly take over. He wants to make a difference and to make sure that the stigma of HIV and AIDS fades away. If he can make some money on the side, then all the better. The real star of the film was Jared Leto, who plays Rayon, a gay transvestite who has also contracted the virus. This doesn’t stop Rayon from being who he is though. He is open towards everyone and is always willing to help out others, even if those people are frightened by him. Not only does Leto nail being both male and female, but no matter what he is, Rayon is independent, smart, clever and kind. I had a much easier time relating with Leto than I did with McConaguhey’s gruff, selfish and greedy personality. Not to mention there wasn’t a character like Rayon in “Ikiru” so he offers up a wonderful divergence from that. My other complaint is that “Dallas Buyers Club” feels like two entirely different films. The first half is about Ron’s struggle to come to grips with his own mortality and his transition to getting illegal drugs to help those with HIV into America. Once that has been achieved, the film takes a strange turn and becomes more of a biopic about how badly people with HIV and AIDs were treated when the epidemic broke out. The film stops being about Ron Woodruff and spends most of its time talking about a dark time in U.S. history, where homosexuals were shunned and couldn’t get proper medical treatment. A respectable time to discuss and I applaud the filmmakers for not sugarcoating it, but to go from one story to the other is jarring and removes emotional investment in characters. Overall, I’m not sure how to feel about “Dallas Buyers Club.” On one hand, the acting was wonderful, especially from Leto. On the other hand, the film reminded me way too much of “Ikiru” and comes across like two films combined into one. I do respect the film for its portrayal of how badly we treated the AIDs epidemic, much like how “12 Years A Slave” was brutally honest in depicting slavery. Neither film holds back, even if the subject matter is a touchy affair. McConaughey has made a wonderful transition and has shown he can handle a multitude of roles and this film is proof of that. 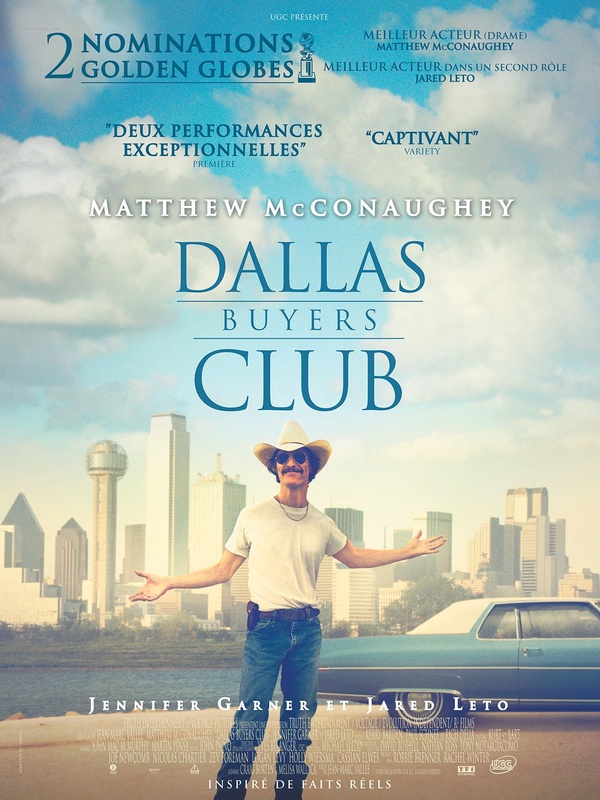 Even if “Dallas Buyers Club” had problems in its story and pacing, none of that blame can be put on Matthew.